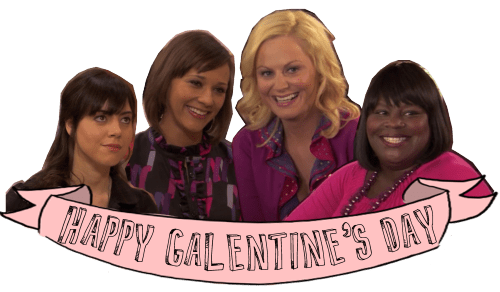 If you’re a fan of the show Parks & Recreation, then you are already well aware of the amazingness that is Galentine’s Day. If you have no idea what I’m talking about, here is a simple explanation. Leslie Knope made handmade gifts for all of her lady friends, but I don’t have the time or the skills for that right now, so I think these would be fun gifts to give instead. I will be out of town on the 13th (the traditional day to celebrate your Galentines) but if I was going to be in town you better believe I would be organizing an awesome brunch! Love parks and rec, and love this! I love this!! 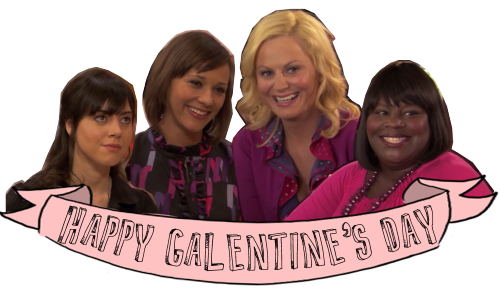 I wanna have a Galentines day! That Leslie quote is amazing. Best show! Such a cute idea! I forgot about Galentines till I read this post. Happy Galentines Day!